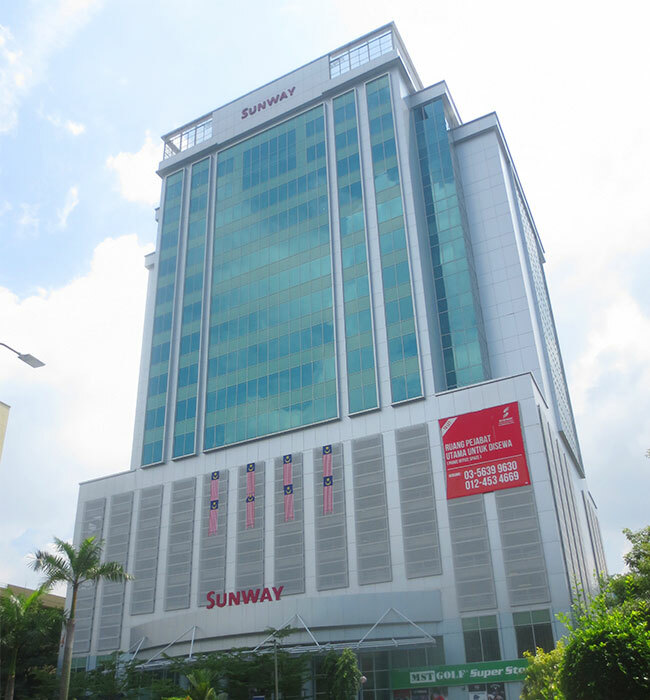 Wisma Sunway is a stratified 19-storey office building¹ located in the vibrant Section 9, Shah Alam, the state government precinct of Selangor. Its location next to a hotel and a retail mall offers convenience to its tenants. Wisma Sunway is easily accessible from the Federal Highway and the North Klang Valley Expressway. Wisma Sunway was refurbished in 2013 and is substantially tenanted by government agencies.